By listening to sermon audios on discipleship, you will learn how John the Baptist was ordained in his mother’s womb to bring people to repentance and to be baptized before the coming of the Lord. His example is what God wants from all of His people, no matter what. Even if you are the only follower in your family. In Luke 9:23, it states that whoever desires to be my disciple is required to deny themselves and pick up the cross daily and follow me. Luke 10:1,2 the Lord appointed seventy-two others and sent them two by two ahead of Him to every town and place He was about to visit. And He told them, “The harvest is plentiful, but the workers are few. Ask the Lord of the harvest, therefore, to send out workers into His harvest. The work of the evangelist is to spread or preach the word of God to groups or individuals. Evangelism gives hope to the lost and gives an understanding how life can be so much better through Jesus. It’s the planting of seeds of the Gospel of our Lord and Savior to become like Him. Spreading the word is also possible through many channels such as sermon audios on discipleship, bible studies, and teaching others how Jesus was Godsent to earth in the flesh, through his Mother Mary. Smith Wigglesworth a famous reverend who has studied and produced sermon audios on many subjects of the bible. Sermon audios on discipleship are one of the highlights of his sermons. 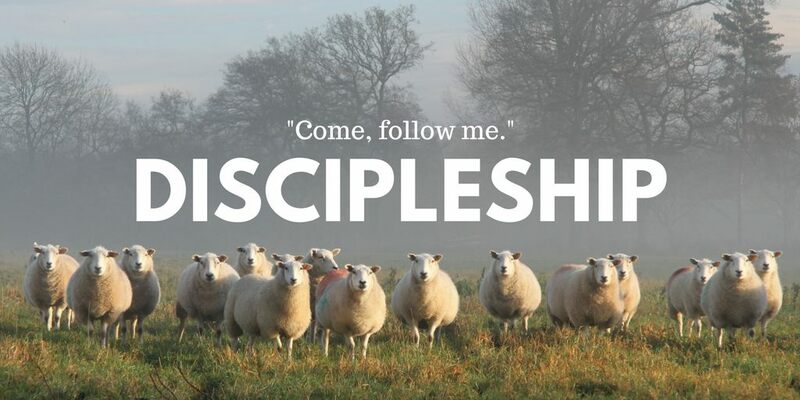 Simply, Christian disciples are followers of Jesus Christ. Our life is not our own but belongs to the Lord. How He sees fit to use us for His Kingdom. In Corinthians 13:5, it states that you should examine yourselves to see whether you are in the faith. You may not realize this but Jesus Christ is in you. We, as Christians, do all things through Christ Jesus. He is our strength! Jesus’ second coming will not happen until the gospel has been preached to all corners of the earth. Disciples of Christ are called and assigned many different tasks. Take Prophet Jeremiah for example. His row to hoe could not have been very easy. He had many obstacles in his way. But God is with us. He continued his beliefs and fulfilled God’s plan for his life. Have you considered what God’s plans are for you? To learn more how you can become a partner with KNCB to share audio sermons and MP4’s, contact us at: info@kncb.org today. Also, register in the Christian community and start networking with others.